Homebase is a home improvement retail chain located in the United Kingdom, offering over 38,000 products for the home and garden. It serves more than 300 retail outlets across the United Kingdom and Ireland. While Homebase carries a variety of product year round, including kitchen, bath, furniture, home wares, lighting, floor and tile, decorations, heating and electricity, tools, hardware, and garden items, the challenge was accommodating their growing seasonal product lines, much of which is shipped to them from the Far East. 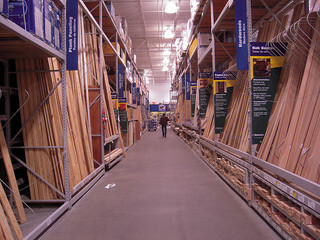 Homebase operated a warehouse that supplied their various far strewn retail outlets. The warehouse covered 70,000 square feet and operates 24 hours per day, 7 days per week. In addition to the regular items the warehouse manages, they face about 200 containers per week of seasonal items during certain parts of the year, such as barbecue grills, outdoor toys, garden tools, and air conditioners. The challenge was adapting their labor force and other resources to handle the peak times of business. Homebase chose Unipart Logistics to help them tackle the challenges of their warehouse operations, even though the company had a background in automotive parts supply warehouses, which are seemingly much different from retail warehouse operations. Unipart Logistics faced the challenges of Homebase’s seasonal products by transferring the operations to a larger facility, offering 300,000 square feet. The larger warehouse was better suited for receiving, processing, storing, and picking orders for both their regular year round merchandise. In addition, they imported seasonal products from foreign suppliers, according to Richard Morgan, the director of Homebase’s supply chain operations. In addition to the new, larger facility, they also set up a better system for processing and shipping items to their stores. The slow-moving items were moved to narrow asile racking, while the faster moving merchandise and seasonal products were moved into a block stack configuration. 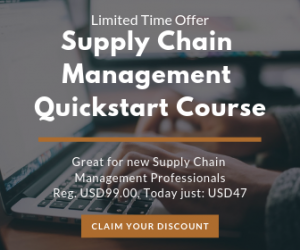 Unipart Logistics then established an advanced order picking system, which assembles all of the goods for a particular store order to a section of the warehouse known as Goods Out. From there, the orders are loaded onto vehicles and distributed to the 300 retail outlets across the United Kingdom and Ireland. As a result of the new system, Homebase is now able to manage their resources more effectively, particularly when scheduling the labor force needed to keep up with their fluctuating workload of receiving, processing, and shipping out orders. Now, the labor force is able to manage up to 140,000 cases of imported seasonal and regular year round products per week. The new warehouse management system meets the needs of Homebase management and operations, even though Unipart Logistics is more closely associated with warehouse operations in an entirely different industry. Homebase is now capable of handling the rapid growth of their company, as well as the fluctuating demands associated with merchandise that is only sold during short periods of the year. The new, expanded warehouse facilities are still fully operational 24 hours per day, 7 days per week. The result is a greater availability of their products by the end customers shopping in their retail stores.